We had a busy week! We made applesauce and it was fire safety week. The Kohlsville fire dept came in to teach us about fire prevention and we got to see a fire truck! Next week, I will be starting the PALS assessment. It's a mandatory statewide assessment that is done to see how 4 year old kindergarten students are performing, and to track their growth. I will be communicating the results with you at the home visits/conference. Also, don't forget about our field trip to the pumpkin farm next Thursday (10/15) 9-11:30. Thanks! 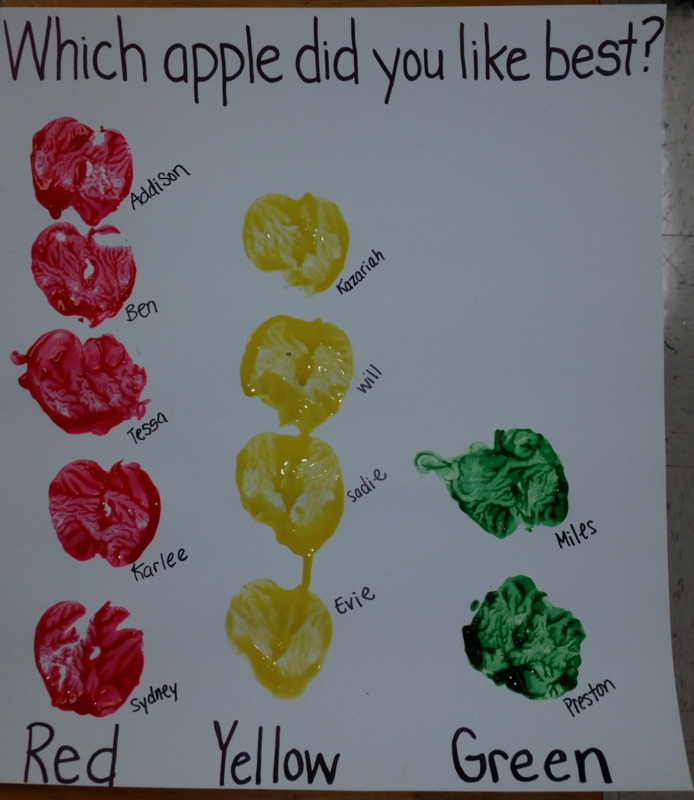 Apple graph to show our favorite apple. Red wins! Adding sugar to our homemade applesauce!